2 charming, nostalgic cottages w/the larger being 2072 sq ft, 1943 home w/a 2nd 500 sq ft, 1990's guest cottage as well as a 312 sq ft workshop + additional power pole, carport, storage, greenhouse & shed which all remain. 1.40 acres of fertile soil where you will see numerous flower gardens & fruit trees as you walk the property. Raise your own vegetable garden w/water available throughout the property provided by the properties own well source. Zoning allows for goats, chickens or other livestock if you desire. 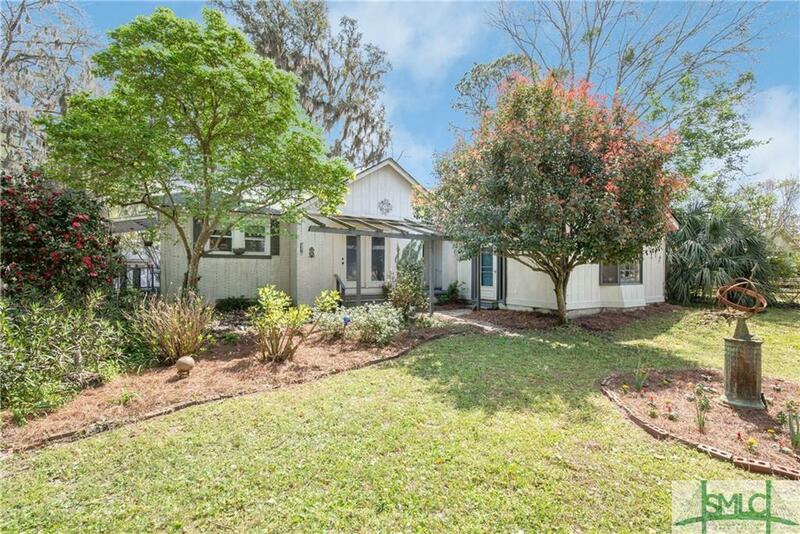 Central heat & air, large bonus room w/real wood beam ceilings & new carpet, updated master bath addition w/the master having its own private courtyard w/privacy fence that you do not want to miss when you view the master bedroom. 3 beds 2 baths main house. 1 bed/bath in guest cottage currently rented -May 30, 2019 for $550/month. Could easily rent $650/month. 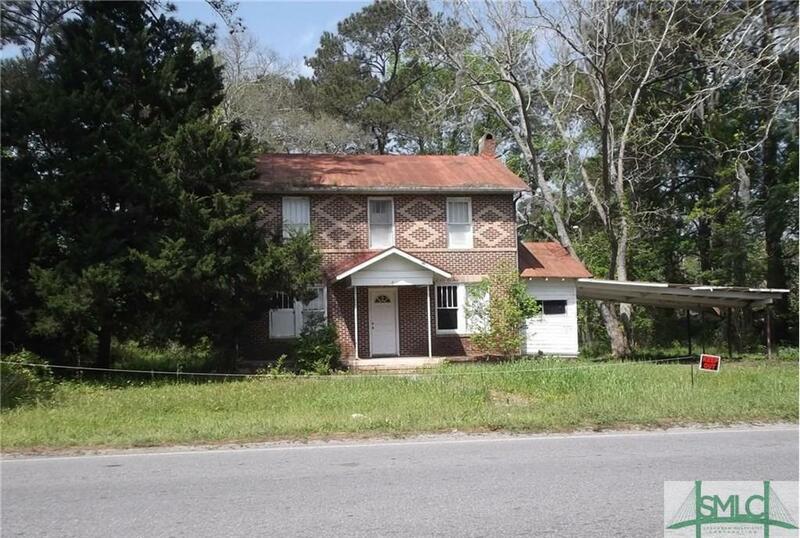 Easy access to all of Savannah, Chatham Parkway & Veterans Memorial Parkway. RV, work truck, boat parking allowed. JUST RENOVATED & REDUCED!!! 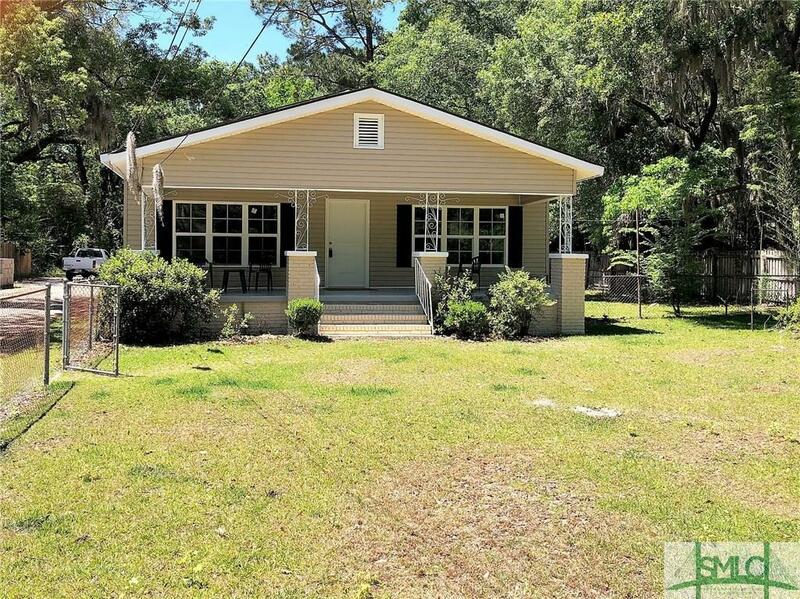 Adorable 1941 Renovated Bungalow on .72 Acre, A view of Spanish moss dripping from the Large oaks. Really close to the city but feels like the country living ... Full of charm! 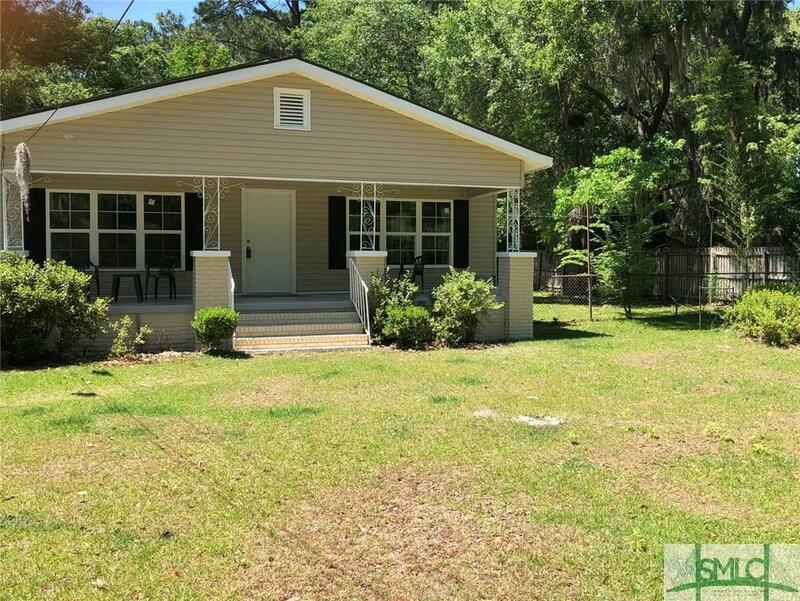 1360 sq ft - 3 bdrm, 1 1/2 Bath (NEW BATH ROOMS)- Fenced front yard with large front porch, brand new floors, New bathrooms, carpet, Painting throughout, new Doors throughout, new windows, White Refrigerator and stove to remain in spacious eat in kitchen. 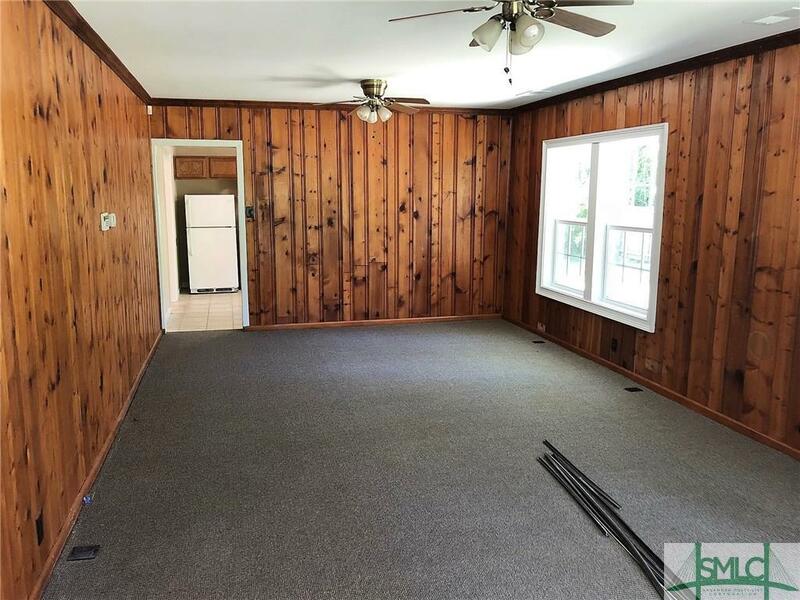 Large great room with pine paneling. Large storage closet. New back porch. New exterior siding. 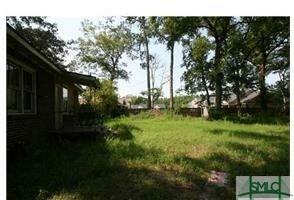 Large Private back yard that backs up to woods. 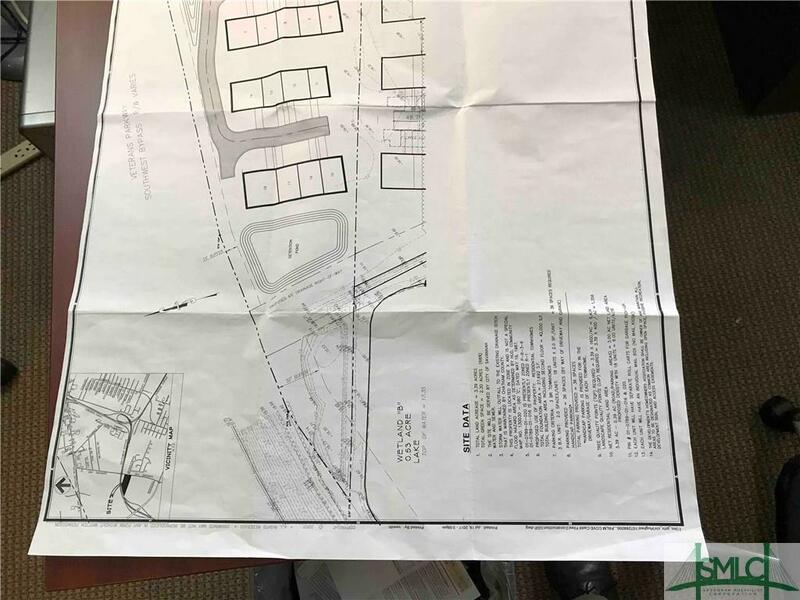 Located on a quiet dead end street just off Chatham Pkwy and Veterans Memorial pkwy. This is a Must See! Motivated Seller.